“Glory to God in the highest, and on earth peace among those with whom he is well pleased” (v. 14). Unlike Charlie Brown, the majority of people in North America know that Christmas is a celebration of Christ’s birth. But I think most people miss the significance of his birth. Why does the birth of Jesus matter? The good news is that a baby has been born in Bethlehem. The angel announces, “Unto you is born this day in the city of David a Savior, who is Christ the Lord” (v. 11). The good news of Christmas is that a Saviour has been born! After the angel tells the shepherds the good news, “Suddenly there was with the angel a multitude of the heavenly host” (v. 13). All of the angels are “praising God and saying, ‘Glory to God in the highest, and on earth peace among those with whom he is pleased” (vv. 13-14). “In the highest” refers to heaven. God in heaven is given glory, and people on earth are given peace. “Those with whom [God] is pleased” are those who have put their trust in Christ as their Savior. Peace “is essentially a synonym for salvation.”  We need peace with God. We could contrast the lasting joy of this good news with the temporary joy that most Christmas presents bring. This is the third Christmas song in the Gospel of Luke—though it does say that the angels said these words (“saying”). This song is often called the Gloria because Gloria is the first word of the song in the Latin Vulgate. R. H. Stein, Luke, 109. Darrell L. Bock, Luke 1:1-9:50, 219. “Blessed be the Lord God of Israel, for he has visited and redeemed his people and has raised up a horn of salvation for us in the house of his servant David” (vv. 68-69). But Christmas is really about leaving home. That’s what Jesus did. Jesus left home for Christmas. He came to this world to visit us. Jesus traded his throne in heaven for a manger in Bethlehem. He exchanged the praise of angels for the mocking of his enemies. He gave up the glory of heaven for the suffering and shame of the cross. Zechariah is a priest, married to a woman named Elizabeth (v. 5). They have no children. Elizabeth is “barren” and both she and Zechariah are “advanced in years” (v. 6). As Zechariah is serving in the temple, the angel Gabriel appears to him. He announces to Zechariah, “Your prayer has been heard, and your wife Elizabeth will bear a son, and you shall call his name John” (v. 13). He will prepare people for the coming of the Christ (v. 17). Zechariah doesn’t believe the angel’s news. It’s just too amazing to be true. He says, “I am an old man, and my wife is advanced in years” (v. 18). The angel tells him, “You will be silent and unable to speak until the day that these things take place, because you did not believe my words, which will be fulfilled in their time” (v. 20). How would God redeem us? When the Jews would think of redemption, they would think of their deliverance from Egypt. They has been slaves, and God freed them. In Zechariah’s day, the Jews were looking for a new exodus. They were looking for freedom from the Romans. But Zechariah was looking for more than political redemption. He was also looking for spiritual redemption because he says that his son would “give knowledge of salvation to his people in the forgiveness of their sins” (v. 77). Freedom from sin is our greatest need, though most people don’t understand this. God would redeem us through the death and resurrection of Jesus! How would God raise up “a horn of salvation” for us? A horn is a symbol of power (e.g., the horn of a wild ox as mentioned in Deuteronomy 33:17). “The LORD is…the horn of my salvation” (Ps. 18:2). The phrase “raised up” is often used in the OT of God putting a person in a special position (e.g., a king). In Hannah’s prayer, she says God will “give strength to his king and exalt the horn of his anointed” (1 Sam. 2:10). Jesus is the King of kings. God would raise up “a horn of salvation” through the salvation achieved by Jesus! Salvation has come to us because of God’s remembrance, his faithfulness to his covenant, and his mercy (v. 72). The main characters in Luke 1:57-80 are Zechariah, Elizabeth, John, and Jesus. Zechariah means “Yahweh has remembered.” Elizabeth means “My God has sworn.” John means “Yahweh is merciful.” Jesus means “Yahweh saves.” The truth of verse 72 is summed up in the names. Coincidence? I think not! God saves us to serve. God wants us to serve him “all our days” (v. 75; cf. Eph. 2:8-10). God saved us by serving us! As God chose to save us because he loves us, we should choose to serve him because we love him. I don’t know how old you need to be in order to be considered “advanced in years,” but I’m sure Zechariah and Elizabeth are well past the age of thinking about having children. Zechariah’s song is known as the Benedictus because Benedictus (“Blessed”) is the first word of the song in the Latin Vulgate. These words are prophetic: “Zechariah was filled with the Holy Spirit and prophesied,” v. 67). The prophecy of Scripture is certain to be fulfilled. Darrell L. Bock, Luke 1:1-9:50, 178. And Mary said, “My soul magnifies the Lord, and my spirit rejoices in God my Savior, for he has looked on the humble estate of his servant. For behold, from now on all generations will call be blessed; for he who is mighty has done great things for me, and holy is his name” (vv. 46-49). A few years ago while jogging in my neighbourhood, I found a record collection on the side of the road. I took the records home and kept the ones I liked best. I actually didn’t own a record player at the time, but two years ago Marsha gave me one for Christmas. My favourite Christmas albums are Elvis’ Christmas Album, Nat King Cole’s The Christmas Song, Bing Crosby’s Merry Christmas, and A Charlie Brown Christmas. They say that there’s nothing like the sound of music on a record player. In the Gospel of Luke, there are four Christmas songs: Mary’s song (1:46-55), Zechariah’s song (1:68-79), the angels’ song (2:14), and Simeon’s song (2:29-32). Mary’s song is known as the Magnificat. 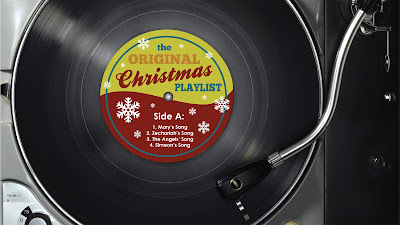 In our current sermon series “The Original Christmas Playlist,” we’re going to take a look at each of these four songs. Mary’s song is a song of praise. Mary’s praise comes from her “soul” (v. 46) and her “spirit” (v. 47). It comes from deep inside her. “Bless the LORD, O my soul, and all that is within me, bless his holy name!” (Ps. 103:1). God isn’t interested in praise that doesn’t come from our hearts. God said that the people of the prophet Isaiah’s day “draw near with their mouth and honor me with their lips, while their hearts are far from me” (Isa. 29:13). Mary “magnifies the Lord” (v. 46). To magnify means to enlarge (like a magnifying glass enlarges an object). Mary wanted an enlarged vision of God. We should regularly stop to think about how big God is. He is “mighty” (v. 49) beyond description! Mary calls God her “Savior.” She might have been thinking that the birth of the Messiah would result in the deliverance of Israel from the Romans. But Mary’s son would bring a different kind of deliverance. The angel Gabriel had told Mary to name her baby “Jesus” (v. 31). Why the name Jesus? “Jesus” means “Yahweh saves.” Jesus would “save his people from their sins” (Matt. 1:21). Mary is a nobody from nowhere. She isn’t yet married, so she’s probably a young teenager—maybe 15. And she lives in Nazareth—a small town with a population of no more than 2,000 people. Luke states that Nazareth is a “city of Galilee” (v.26) perhaps because no one would know what it was otherwise. Years later, when Nathanael is told that Jesus is from Nazareth, he asks, “Can anything good come out of Nazareth?” (John 1:46). Mary acknowledges that she is blessed because of God’s grace. “God opposes the proud, but gives grace to the humble” (James 4:6). “Humble yourselves before the Lord, and he will exalt you” (James 4:10). God has “exalted those of humble estate” (v. 52). Reversal of fortunes is one of the themes of the Gospel of Luke (e.g., the thief on the cross). Jesus “humbled himself” (Phil. 2:8) by dying on a cross for us. But then was “exalted” (Phil. 2:9). Mary says, “Behold, from now on all generations will call me blessed” (v. 48). Why will people call her blessed? Mary declares, “For he who is mighty has done great things for me” (v. 49). Mary would not be remembered today unless God had shown her grace. What would life be like without God’s grace? God Has Done Great Things for Us! Each one of us should sing our own Magnificat because the mighty God has done great things for us! In the book of Isaiah, the child to be born (i.e., the Messiah) would be called “Mighty God” (Isa. 9:6). The mighty God became a man to die for us! In an amazing act of grace, Jesus came to serve us—nobodies! The opening two chapters of the Gospel of Luke are sort of like a Christmas musical. In Latin, the first word of the song is Magnificat (“magnifies”). Mary’s song is similar to Hannah’s prayer (1 Sam. 2:1-10). Philip Graham Ryken, Luke, vol.1, 47. How Long Until the End? “How long shall it be till the end of these wonders?” (v. 6). This time of year, children often ask the question, “How many days until Christmas?” We are often like impatient children, asking God, “How long?” “How long?” is actually a common question in the Bible. “How long, O LORD? Will you forget me forever? How long will you hide your face from me?” (Ps. 13:1). “How long, O Lord, will you look on? Rescue me from [my enemies’] destruction, my precious life from lions” (Ps. 35:17). “O LORD, how long shall I cry for help, and you will not hear?” (Hab. 1:2). “[The martyrs in heaven] cried out with a loud voice, “O Sovereign Lord, holy and true, how long before you will judge and avenge our blood on those who dwell on the earth?” (Rev. 6:10). When people are experiencing suffering, they naturally ask “How long?” How much longer until this is over? Daniel is told that there is be “a time of trouble, such as never has been since there was a nation till that time” (v. 1). Many Christians believe this refers (at least in part) to a time of great tribulation prior to the second coming of Jesus. Though the suffering will be great, Daniel is promised that “[his] people will be delivered, everyone whose name shall be found written in the book” (v. 1). The end will come. And when it comes, “many of those who sleep in the dust of the earth shall awake, some to everlasting life, and some to shame and everlasting contempt” (v. 2). This is “the first and only Old Testament reference to double resurrection.”  This is our hope! God’s people will live happily ever after! Daniel is told that up until the time of the end, “Many shall run to and fro, and knowledge shall increase” (v. 4). Knowledge will be abundant, but wisdom will be scarce. “Those who are wise shall shine like the brightness of the sky above” (v. 3). If we desire to be raised “to everlasting life” we must believe “the word of the cross” which is “folly to those who are perishing, but to us who are being saved it is the power of God” (1 Cor. 1:18). Before the end comes (either to our lives or this age), we must put our trust in Christ. This is true wisdom. Then the question is asked, “How long shall it be till the end of these wonders?” (v. 6). This is a question we all ask. Daniel is given a time period of “1,290 days” (v. 11). And then he is told, “Go your way till the end. And you shall rest and shall stand in your allotted place at the end of the days” (v. 13). We might not know exactly what the period of 1,290 days means,  but it indicates that God has determined an exact time when the end will come. Like Daniel we are to “go [our] own way till the end” (v. 13), trusting that God is in control. Until the end, I need to do the good that God’s word tells me to do. My kids often ask, “How much longer, Dad?” Sometimes I try to get creative when I answer them. (“It’s going to be about three episodes of [their favourite TV show].”) But sometimes I don’t know how long it’s going to be. I don’t know how long until the end, but I do know that God is in control. It’s not my job to worry when the end might come. God has decided when the end will come. I need to trust that he will do what is right according to his perfect wisdom. This “time of trouble” probably refers both to the past time of trouble (during the time of Antiochus IV Epiphanes) and a future time of trouble (before the second coming). Tremper Longman III, Daniel, 272. “‘Behold, the days are coming,’ declares the Lord God, ‘when I will send a famine in the land—not a famine of bread, nor a thirst for water, but of hearing the words of the Lord’” (Amos 8:12). A period of 1,290 days is about three and a half years (“a time, times, and half a time,” v. 7), perhaps referring to half of a seven-year tribulation. Seven years might be symbolic of a complete time of tribulation. Some people have said that Donald Trump becoming President is a sign of the apocalypse. People have all sorts of ideas about how the world might end (nuclear war, zombies, aliens). It’s true that one day this world as we know it will come to an end. But it won’t be zombies that will bring the world to an end. God is in control, and he will be the one who will put an end to this world as we know it. The book of Daniel can be broken into two parts. In Daniel’s vision, he sees “four great beasts [coming] up out of the sea” (v. 3). What is the meaning of these four beasts? Daniel is told that the “four great beasts are four kings who shall arise out of the earth” (v. 17). People often try to identify the four kingdoms,  but perhaps it’s best to see the kingdoms as simply four kingdoms that will succeed one another. Daniel is especially curious about the four beast and the little horn. Out of the head of the fourth beast grows “a little [horn],” which has “eyes like the eyes of man, and a mouth speaking great things” (v. 9). Many scholars believe that the little horn is the antichrist. “He shall speak words against the Most High, and shall wear out the saints of the Most High” (v. 25). But his kingdom, like the other kingdoms of man, will be destroyed. When God finally puts an end to the kingdoms of man and establishes his eternal kingdom, he will give authority of that kingdom to someone whom Daniel describes as “one like a son of man” (v. 13). Who is this person? Those of us who are familiar with the Gospels know that Jesus often referred to himself as “the Son of Man.” What does this title mean? When Daniel describes the person in his vision as “one like a son of man,” he means that the person looks like a man. “Son of man” and “man” are synonymous. For example, Psalm 8:3 says, “What is man that you are mindful of him, and the son of man that you care for him?” But the “one like a son of man” is obviously more than just a man. In Daniel’s vision, the “one like a son of man” comes “with the clouds of heaven.” In the OT, God is the one who rides on the clouds. “[The LORD] makes the clouds his chariot” (Ps. 104:3). “Behold, the LORD is riding on a swift cloud” (Isa. 19:1). “The clouds are the dust of [the LORD’s] feet” (Nah. 1:3). When Jesus was questioned by Caiaphas the high priest regarding his true identity, Jesus finally declared, “From now on you will see the Son of Man seated at the right hand of Power and coming on the clouds of heaven” (Matt. 26:64). Jesus was saying, “I am the Son of Man in Daniel’s vision!”  What was the high priest’s reaction? He accused Jesus of blasphemy (v. 65). By calling himself the Son of Man, Jesus was claiming to be both human (“one like a son of man”) and divine (“with the clouds of heaven”). In the Old Testament prophecies, we often only see the mountain peeks. We see the mountain peek of the Messiah's coming into the world. And we see the mountain peek of the Messiah's reign. What we often don't see is the valley into between those two mountain peeks of prophecy. Jesus' followers were shocked when he was crucified. Before Jesus would come “with great power and glory” (Mark 13:26), he would come as a humble servant. He declared, “The Son of Man came not to be served but to serve, and to give his life as a ransom for many” (Mark 10:45). The book of Daniel encourages God’s people to remain faithful. We are sometimes tempted to give up. Why should we remain faithful? God loves us. The Son of Man died for us! God will have the final victory. The Son of Man will come again! Before this year, the Chicago Cubs had not won the World Series since 1908 (108 years ago!). But people remained faithful to the Cubs, hoping that each year would be the year the Cubs finally would win. Faithful Cubs fans (including 108 year-old Cubs fan Mabel Ball) were finally rewarded this year with a World Series victory. We should remain faithful because God has promised (Cubs fans had no guarantee of victory) that one day he will have the final victory. The chaos and evil of this world will come to an end. Jesus will reign. And we will reign with him! The genre of Daniel 7-12 (like Revelation) is apocalyptic. Apocalyptic writings are filled with symbols and often difficult to interpret. The vision of the four beasts is similar to Nebuchadnezzar’s dream of the great image (Dan. 2). One popular interpretation is that the four beasts represent Babylon, Medo-Persia, Greece, and Rome. Then the king commanded, and Daniel was brought and cast into the den of lions. The king declared to Daniel, “May your God, whom you serve continually, deliver you!” (v. 16). 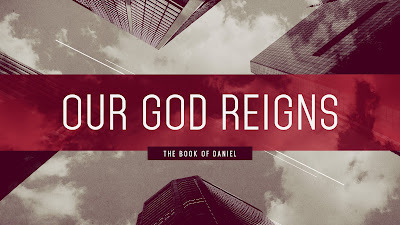 The theme of the book of Daniel is the sovereignty of God. “In spite of present appearances, God is in control.”  If God is in control, do that mean that God always will rescue his people? No, God doesn't always rescue us. Sometimes we feel like the psalmist when he wrote, “Why, O Lord, do you stand far away? Why do you hide yourself in times of trouble?” (Ps. 10:1). But sometimes God does rescue his people. Daniel 6 tells the story—a very famous story—of a man who was rescued by God. At the end of chapter 5, Babylon was defeated by the Persians (with the help of the Medes). Now “Darius the Mede” (5:31) rules over Babylon. And Daniel—who is now over 80 years old—becomes one of Darius’s favourite people. Darius likes Daniel so much that he plans to “set [Daniel] over the whole kingdom” (v. 3). This causes the other government leaders to become jealous of Daniel—so jealous that they want to get rid of him somehow. Daniel’s enemies try to dig up some dirt on Daniel. But they (unlike the enemies of Donald Trump and Hillary Clinton) can’t find any dirt on Daniel. Finally they say, “We shall not find any ground for complaint against Daniel unless we find it in connection with the law of his God” (v. 5). What an incredible testimony to have! So Daniel’s enemies trick the king into making a law that they think Daniel won’t obey: “Whoever makes petition to any god or man for thirty days, except to you, O king, shall be cast into the den of lions” (v. 7). What does Daniel do? Does he stop praying to God? No, he continued to pray like he had prayed before—three times a day. After his enemies spy him praying, they report Daniel’s disobedience to the king. Darius realizes that he’s been tricked, but the law can’t be changed. So Daniel is cast into the lions’ den (v. 16). If you rearrange the letters of “den,” you can spell “end.” But the den of lions was not the end for Daniel. The king yells to Daniel, “May your God, whom you serve continually, deliver you!” (v. 16). And that’s what God did. After a sleepless night, Darius rushes to the lions’ den to see if he’s still alive. He calls to Daniel, “O Daniel, servant of the living God, has your God, whom you serve continually, been able to deliver you from the lions?” (v. 20). Daniel answers, “My God sent his angel and shut the lions’ mouths, and they have not harmed me” (v. 22). The story of Daniel and the lions’ den is very similar to the story of Shadrach, Meshach, and Abednego and the fiery furnace. God is able to rescue us from any danger, but he isn’t obligated to rescue us (“But if not,” 3:18). Biblical faith is not confidence in what I think should happen; it’s confidence in God. We are to trust God and do what is right no matter what the outcome might be. A Rescue for All of Us! “For every Daniel, whom God delivers from the lions’ den, there are hundreds of nameless martyrs whom God did not deliver.”  When a rescue doesn’t come for us, we can identify with Jesus. He prayed to be rescued from the cross: “Father, if you are willing, remove this cup from me” (Luke 22:42). But he still died. There are many similarities between Daniel and Jesus. Both Daniel and Jesus had jealous enemies who conspired to have them killed. Both Daniel and Jesus were arrested while at prayer in a private location. Pilate, like Darius did for Daniel, worked for the release of Jesus. But in the end, both Daniel and Jesus were turned over to be executed. Both Daniel and Jesus were put inside a sealed pit. The big difference between the two is that Daniel emerged from the lions’ den without a scratch, while Jesus was dead when his body went into the tomb. The superiority of Jesus over Daniel is that, though Jesus died, he emerged from the tomb alive! Daniel’s rescue foreshadowed a greater rescue to come—a rescue from the consequences of our sins through faith in the death and resurrection of Jesus Christ. Jesus was not rescued so that you and I could be rescued! Tremper Longman III, Daniel, 19. Skeptics try to discredit the Bible by saying that there is no historical record of “Darius the Mede.” But remember that for many years people said the same thing about Belshazzar. Does this mean that people who live in a place where it’s illegal to practice Christianity should pray in public? No, description is not necessarily prescription. According to “the law of the Medes and the Persians” the injunction could not be revoked (v. 8). It’s ironic that Darius was the one who had trouble sleeping that night. Iain M. Duguid, Daniel, 102. The Jesus Storybook Bible says, “God would keep on rescuing his people. And the time was coming when God would send another brave Hero, like Daniel, who would love God and do what God said—whatever it cost him, even if it meant he would die. And together they would pull off the Greatest Rescue the world has ever known” (159). “This is the interpretation of the matter: MENE, God has numbered the days of your kingdom and brought it to an end; TEKEL, you have been weighed in the balances and found wanting; PERES, your kingdom is divided and given to the Medes and Persians” (vv. 26-28). Belshazzar throws a huge party. History tells us that while Belshazzar was partying, the Persian army was outside the walls of Babylon. Belshazzar realizes that his life could suddenly come to an end. What happens when people realize that their lives will soon come to an end? They feel the need to do something that will make their lives significant. People try to gain significance in three things. People try to gain significance in achievement. “If I could do something great….” At Belshazzar’s party were symbols of Babylon’s power: “the vessels of gold and silver… taken from the temple in Jerusalem” (v. 2). People try to gain significance in romance. “If I could find someone who would love me….” At Belshazzar’s party were his wives and concubines. People try to gain significance in religion. “If I could gain acceptance with God….” At Belshazzar’s party, he “praised the gods of gold and silver, bronze, iron, wood, and stone” (v. 4). God crashes Belshazzar’s party! “The fingers of a human hand” appear and write on the wall of the king’s palace (v. 5)! And Belshazzar is filled with fear (v. 6). Belshazzar was a man filled with pride. He had not learned from the example of Nebuchadnezzar. Daniel says to him, “And you his son, Belshazzar, have not humbled your heart, though you knew all this, but you have lifted up yourself against the Lord of heaven” (vv. 22-23). For all of us, the handwriting is on the wall. Our days are “numbered.” When we are “weighed” by God, our sin causes us to be “found wanting.” And our “kingdom” (i.e., all of our possessions) will one day be divided and given to others. How can we gain significance? Our lives gain significance when we humbly confess our need for God’s grace. The only man who was never “found wanting” was Jesus. And He died for me—I’m significant to God! God loves me! When we put our trust in Jesus, we are given his righteousness—we are no longer “found wanting”! We become a children of God—that’s significance! For many years, skeptics didn’t believe that Belshazzar was a real person. “Today we have abundant textual witness [e.g., the Nabonidus cylinder] to the fact that he was the son of Nabonidus. More than that, Belshazzar was coregent and actually in charge of Babylon during his father’s ten-year absence from the capital city, thus explaining the reference to him as king” (Tremper Longman III, Daniel, 135). Now I, Nebuchadnezzar, praise and extol and honor the King of heaven, for all his works are right and his ways are just; and those who walk in pride he is able to humble (v. 37). How many things do you have control over each day? You could say that you’re in control over what time you wake up in the morning. But what if your house loses power in the night, and you’re alarm doesn’t go off to wake you up? The truth is, we really do have as much control as we think. 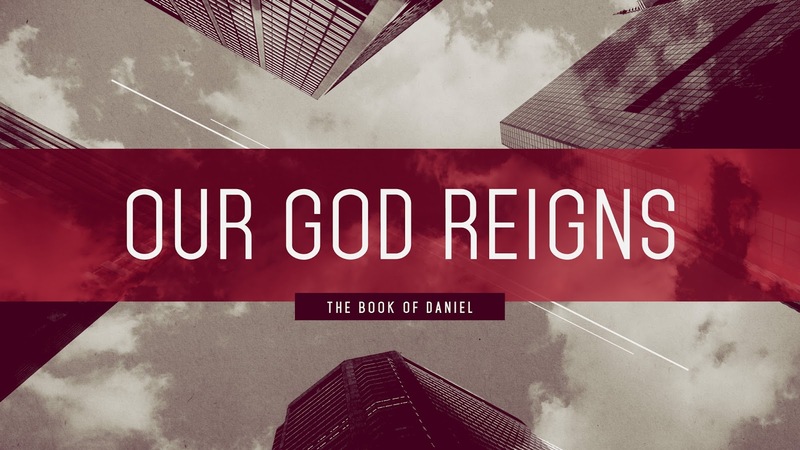 The theme of the book of Daniel is God’s sovereignty. Unlike us, God is in control of all things. For the second time in the book of Daniel, Nebuchadnezzar has a dream—a dream that “made [him] afraid” (v. 5). In the dream, he sees a tree (v. 10). The tree grows and grows. It grows so tall that “its top reached to heaven” (v. 11). The tree provides shade for the animals, shelter for the birds, and food for all the people of the earth (v. 12). But then an angel (“a watcher,” v. 13) comes down from heaven and orders the tree to be chopped down (v. 14). So the tree is chopped down and all that’s left is the stump (v. 15). Then it’s announced that the stump—now a man—will live like an animal until “seven periods of time pass over him” (v. 16). What does the dream mean? Nebuchadnezzar summons Daniel to give him the dream’s interpretation. Daniel reveals that the tree symbolizes the king (v. 22). There will come a time when Nebuchadnezzar will be “chopped down.” He will lose his sanity and act like an animal until he realizes that “the Most High rules the kingdom of men and gives it to whom he will” (v. 25). One year later, Nebuchadnezzar is walking on the roof of his palace, admiring the city of Babylon. Babylon contained two of the Seven Wonders of the ancient world, the hanging gardens and the city walls. The king says to himself, “Is not this great Babylon, which I have built by my mighty power as a royal residence and for the glory of my majesty?” (v. 30). Immediately (“While the words were still in the king’s mouth,” v. 31), what the dream foretold came to pass. He loses his mind and is removed as king and lives like an animal. Finally, Nebuchadnezzar “lift[s] [his] eyes to heaven, and his reason return[s] to [him]” (v. 34). Nebuchadnezzar learned the hard way that God is sovereign. He is “the Most High” God (vv. 2, 24, 25, 34). The story of this chapter is an example of the truth stated in 2:21: “he removes kings and sets up kings.” “Heaven rules” (v. 26). In the end, Nebuchadnezzar confessed, “All [God’s] works are right and his ways are just” (v. 37). He declared, “None can…say to him, ‘What have you done?’” (v. 35). The king was humbled. God, What Have You Done? Two truths should cause us to be humble. 2. How small the Most High God made himself so that he could save us. To receive salvation, we must humbly acknowledge our sin and our need of a Saviour. People get angry about all sorts of things—many of them relatively minor things: (1) having to watch a 30 second ad on YouTube, (2) stepping in something wet after you’ve just put on clean socks, (3) hearing someone chew their food loudly, (4) having to wait five minutes in a grocery store checkout line, (5) slow internet. To “pour contempt” on our pride is to despise our pride. When we “survey” (i.e., think about) the cross, we should hate our pride. The Most High God died for us! The cross is the cure for pride. The walls were wide enough for chariots driven by four horses to pass each other on the top of them (ESV Study Bible, 1594). All of the arguments against God used by people today (e.g., atheists) can be found in the Bible. The Bible doesn’t shy away from the tough questions. The prophet Habakkuk complained to God, “Why do you idly look at wrong?” (Hab. 1:3). “Brand new research suggests that the universe is actually a lot more crowded than previously thought. There are up 2 trillion galaxies in the visible universe, more than 10 times previously estimated” (source). “If this be so, our God whom we serve is able to deliver us from the burning fiery furnace, and he will deliver us out of your hand. But if not, be it known to you, O king, that we will not serve your gods or worship the golden image you have set up” (vv. 17-18). King Nebuchadnezzar sets up a golden image  and commands that everyone bow down to it. Whoever does not bow down to the image will be thrown into a fiery furnace. When the music plays, everyone bows down, except three young Jews: Shadrach, Meshach, and Abednego. Shadrach, Meshach, and Abednego’s disobedience doesn’t not go unnoticed. They are brought before Nebuchadnezzar who gives them one last chance to obey. He warns them that if they once again refuse to bow down to the image, they will be thrown into the fiery furnace. And then he adds, “Who is the god who will deliver you out of my hand?” (v. 15). “O Nebuchadnezzar, we have no need to answer you in this matter. If this be so, our God whom we serve is able to deliver us from the burning fiery furnace, and he will deliver us out of your hand. But if not, be it known to you, O king, that we will not serve your gods or worship the golden image you have set up” (vv. 17-18). They believe that God is “able to deliver [them],” but they also acknowledge that God might not choose to do so (“But if not”). They will obey God even if the outcome is death. Nebuchadnezzar, “filled with fury” (v. 19), orders the furnace to be heated seven times hotter than usual. Shadrach, Meshach, and Abednego are bound and thrown into the fire. The king looks into the furnace. He looks again. He stands up and walks closer to the furnace. Maybe his eyes are playing tricks on him. Finally, he asks, “Did we not cast three men bound into the fire?” (v. 24). His counselors answer, “Yes.” “But,” Nebuchadnezzar says, “I see four men unbound, walking in the midst of the fire, and they are not hurt; and the appearance of the fourth is like a son of the gods” (v. 25). The king shouts into the furnace, “Shadrach, Meshach, and Abednego, servants of the Most High God, come out, and come here!” (v. 26). The three walk out, unharmed. Hebrews 11 is often called “The Hall of Faith.” The chapter mentions Shadrach, Meshach, and Abednego (and also Daniel): “who through faith conquered kingdoms, enforced justice, obtained promises, stopped the mouth of lions, quenched the power of fire” (Heb. 11:33-34). If we have faith in God, do we always get the outcome we desire? No. Hebrews 11 goes on to say, “Some were tortured, refusing to accept release, so that they might rise again to a better life. Others suffered mocking and flogging, and even chains and imprisonment. They were stoned, they were sawn in two, they were killed with the sword” (Heb. 11:35-37). When we don’t get the outcome we desire, does that mean our faith is defective? No. Who Is This God Who Is with Us? The God who is always with us is a God who is sovereign (i.e., in control of all things). He is “the Most High God” (v. 26). He is a God who is able to deliver people from a fiery furnace, if he so chooses. We can have confidence in God because he is not only a sovereign God; he is also a good God. God’s sovereignty must be paired with his goodness. Unless God is also good, his sovereignty isn’t a comfort to us. We see both God’s sovereignty and goodness in the cross. Jesus came into this word as Immanuel, which means, “God with us.” Like Shadrach, Meshach, and Abednego, Jesus was condemned to die. But unlike Shadrach, Meshach, and Abednego, Jesus was not delivered from death. He was crucified because God is sovereign; it was God’s plan that he die. He was crucified because God is good; he died for our sins. Biblical faith is not confidence in what I think should happen; it’s confidence in God—a God who is both sovereign and good, a God who is always with us. This is a paraphrase of a point made by Bryan Chapell: “Biblical faith is not confidence in particular outcomes; it is confidence in a sovereign God” (The Gospel According to Daniel, Kindle location 918). In verses 1-18, we’re told nine times that Nebuchadnezzar “set up” the golden image. Nebuchadnezzar probably builds the golden image because of his dream of a great image in Daniel 2: “you are the head of gold” (v. 38). This account is similar to the story of the Tower of Babel, which was built so that the builders could “make a name for [themselves]” (Gen. 11:4). Daniel answered the king and said, “No wise men, enchanters, magicians, or astrologers can show to the king the mystery that the king has asked, but there is a God in heaven who reveals mysteries, and he has made known to King Nebuchadnezzar what will be in the latter days” (vv. 27-28). To whom do you give thanks on Thanksgiving Day? When we give thanks to God for our blessings, we are acknowledging that God is sovereign (i.e., in control). Thanksgiving Day was originally based on the belief that God is sovereign. On January 31, 1957, the Canadian Parliament proclaimed: “A Day of General Thanksgiving to Almighty God for the bountiful harvest with which Canada has been blessed…is to be observed on the second Monday in October.” When we give thanks to God for the harvest, we are acknowledging that God is sovereign over the harvest. The theme of the book of Daniel is the sovereignty of God. In spite of how things might look, God is in control. One night, King Nebuchadnezzar has a dream—a troubling dream. And he’s desperate to known the meaning of the dream. So he summons some of his wise men and demands that they not only tell him the meaning of his dream but also the content of his dream (v. 5). And if they can’t fulfill his demand, they will be “torn limb from limb” (v. 5). The wise men reply as you and I would: “That’s impossible!” They say, “There is not a man on earth who can meet the king’s demand” (v. 10). The king is furious and commands that all the wise men of Babylon be executed (v. 12). By this time, Daniel has graduated from the three-year training program in Babylon. He is now one of the wise men. And his is to be killed along with the others. Not wanting to torn limb from limb (obviously! ), Daniel asks to speak to the king. He requests that he be given some time. At the end of the appointed time, he will return to the king and interpret the dream (v. 16). Though the king’s demand is an impossible one, Daniel knows that God can do what man can’t do. We have a God who does what man can’t do. The wise men had told the king, “There is not a man on earth who can meet the king’s demand” (v. 10). But Daniel declares, “There is a God in heaven who reveals mysteries” (v. 28). “God in heaven” can do what “man on earth” can’t do. God has revealed to us what was previously a mystery (i.e., once hidden truth): his plan for the world will be accomplished through Jesus Christ. In Nebuchadnezzar’s dream, a “stone” destroys the great image, which represented the kingdoms of man (including Babylon represented by the head of gold). The stone is Jesus. Compared to the image, the stone seems insignificant. And when Jesus lived on this earth, most people didn’t see him as anyone special. But when Christ returns, the kingdoms of man will be turned to dust and he will reign forever. Jesus came to earth to do what we couldn’t do: bring us salvation. The wise men of Babylon stated that the gods don’t dwell with flesh (v. 11). But the apostle John writes, “The Word became flesh and dwelt among us” (John 1:14). Why did God the Son become a man? To die for our salvation. Or, in other words, to do for us what we couldn’t do. Jesus will return to earth to do what we can’t do: build an eternal and perfect kingdom. When God revealed to Daniel the interpretation of the king’s dream, what was Daniel’s response? Thankfulness: “I give thanks and praise” (v. 23). Our response to God doing for us what we can't do should be thankfulness--a thankfulness not only in word but also in deed. But Daniel resolved that he would not defile himself with the king’s food, or with the wine that he drank (Dan. 1:8). The book of Daniel begins during a terrible time for Daniel’s people: “Nebuchadnezzar king of Babylon came to Jerusalem and besieged it” (1:1). But God was still in control: “And the Lord gave Jehoiakim king of Judah into his hand” (1:2). People are concerned about the U.S. Presidential Election. It’s Trump versus Clinton--two extremely unpopular candidates. People are worried about the outcome. But God is in control! “He changes times and seasons; he removes kings and sets up kings” (2:21). The book of Daniel begins with Daniel and his three friends—Shadrach, Meshach, and Abednego—removed from their homeland of Judah and taken to live in Babylon. They are exiles. They are part of a training program set up by Nebuchadnezzar, the king of Babylon. The best of the best of the youth of Judah have been chosen for this program (vv. 3-4). They will be trained for three years by the Babylonians, and then at the end of their training, they will serve the king. This training was to be a reprogramming of the beliefs of the Judean youths. Even their names were changed (v. 7). Nebuchadnezzar expects Daniel and his three friends to conform to the Babylonian culture—a culture that is hostile to the beliefs and convictions of Daniel and his three friends. Verse 8 says, “But Daniel resolved that he would not defile himself with the king’s food, or with the wine that he drank.” Why did Daniel resolve to not eat the king’s food and drink the king’s wine? Was it because he would break the OT dietary laws if he ate the king’s food? Maybe, but the dietary laws didn’t forbid the drinking of wine. Was it because the food and wine would have been offered to idols? Maybe, but we’re not told that the vegetables Daniel ate weren’t offered to idols. Perhaps there was another reason. Maybe Daniel resolved not to eat the king’s food and wine to show that he owed his success to God, not the king. Whatever the reason, Daniel’s decision was rooted in his desire to glorify God. Sometimes resolving to glorify makes our lives more difficult (e.g., Shadrach, Meshach, and Abednego in the fiery furnace; Daniel in the lions’ den—those are uncomfortable places!). We must resolve to put God’s glory ahead of our own comfort. Let’s stop for a moment to think about this God whom we are called to glorify. He is a God who put our good ahead of his own comfort. Jesus—God in human flesh, the second person of the Trinity—declared, “The Son of Man came not to be served but to serve, and to give his life as a ransom for many” (Mark 10:45). God—the sovereign God!—chose to endure the humiliation and suffering of the cross for us. Don’t be ashamed to be known and act as a Christian! In the TV series The Power of Myth, Joseph Campbell states, “You can tell what’s informed the society by…the tallest building in the place.” In a medieval city, the tallest building was the cathedral. In a 17th century city, the tallest building was the political palace. In a modern city, the tallest buildings are the office buildings and the condos. The focus has shifted from God to self. When our focus is on self, we won’t put God’s glory ahead of our own comfort. But if our focus is on God—and how he put our good ahead of his own comfort—we will resolve to glorify him. Verse 9 states that “God gave Daniel favor and compassion in the sight of the chief of the eunuchs.” Again, we see that God is in control. We were torn away from you, brothers, for a short time, in person not in heart (1 Thess. 2:17). John Fawcett (1739-1817) was born into a poor family in Yorkshire, England, and was orphaned at age 12. To survive, he accepted a lengthy apprenticeship to a tailor. Then, while still in his teens, he heard the great George Whitfield preach and became a Christian. While serving his apprenticeship, Fawcett became active in a Baptist church and was often asked to speak. Then at age 25 (and newly married) he was invited to serve as pastor of a small church. The poor people of that little church were able to pay very little, and a lot of Fawcett’s pay came as potatoes and other produce. Once he and his wife Mary began having children, they found it difficult to survive. Then Fawcett learned that the pastor of a large Baptist church in London was retiring, and he let the church know that he would be interested in serving them. They called him to be their pastor at a much larger salary, so John and Mary packed their belongings and prepared to move. Sometimes we don’t or can’t remain where we are, and we leave behind people we love. This is what the apostle Paul often had to do as he traveled from place to place planting churches. To the church in Thessalonica he wrote, “We were torn away from you, brothers, for a short time, in person not in heart (1 Thess. 2:17). In other words, Paul had been separated from the Thessalonians, but he had not forgotten them. Paul had been “torn away” from the Thessalonians “in person not in heart” (2:17). He wanted to see them again (“we endeavored the more eagerly with great desire to see you face to face,” 2:17). Paul had tried several times (“again and again”) to return to Thessalonica, “but Satan hindered [them]” (2:18). Paul tells the Thessalonians that they are his “glory and joy” (2:20). 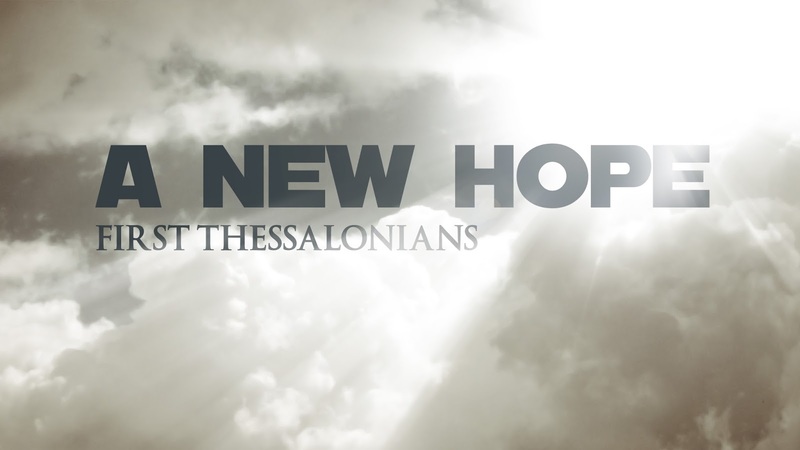 Paul was looking forward to the day of the Lord’s return when he would see the Thessalonians again (“our hope,” 2:19). On that day, the Thessalonians would be his “joy” and “crown of boasting” (2:19). In the Macedonian games, the winning athletes were crowned with a wreath of oak leaves. The “crown” was “a recognition not only of their victory but also of their efforts and labor.”  For Paul, seeing the Thessalonians in heaven would show him that his labour had not been in vain (3:5). The “boasting” would not be a boasting about what he himself had done but a boasting about what God had done through him. This passage reminds us of two truths. First, there is sadness when circumstances cause us to be separated from one another. We can be separated by geography or by death. When a Christian we love dies, we grieve, but we shouldn’t “grieve as others do who have no hope” (4:13). Second, there will be joy when we meet again at the coming of the Lord Jesus. We long to see Jesus when he returns, but it’s not wrong to desire to see Christians who have died. It will be a day of many joyful reunions. I began with a story from the life of John Fawcett. Fawcett was also a hymn writer. His most famous hymn might have been inspired by his experience of almost leaving his little church. Adapted from a hymn story on lectionary.org. Paul has already described himself as a “nursing mother” (2:7) and a caring father (2:11) to the Thessalonians. Gene L. Green, The Letters to the Thessalonians, 150.